Showing 1 - 25 of 99 DVDs. Another supernatural force has come to light in Bon Temps - witchcraft - and life for its residents will never be the same. Sookie finds herself entangled in a love triangle, torn between a vengeful Bill, the new Vampire King of Mississippi, and Eric, who's not the former Viking he once was. Led by a charismatic witch named Marnie, who threatens to let no one living or dead stand in her way, a powerful coven tempts Lafayette, Tara, and Jesus with otherworldly powers. Welcome back to Bon Temps, home to mystery, Southern sensuality, and dark secrets. Tara finds herself in love and under a spell; Sam puts his trust in an unlikely ally; Jason becomes involved with an anti-vampire sect; and Eric recruits Sookie to investigate the disappearance of a 2,000-year-old vampire. The small town of Bon Temps, Louisiana boasts a wide array of colorful locals. Sookie Stackhouse is a sweet and innocent waitress who hides her powerful ability to read minds. Bill Compton is a 173 year-old vampire who's just moved back to town. Sookie's brother Jason is a ladies' man who can't seem to stay out of trouble. Tough-as-nails Tara is Sookie's loyal best friend and Sam is the owner of Merlotte's who tries to keep his feelings for Sookie to himself. Lafayette is a man about town who's always cooking up something illicit. The Colonies' survivors have found their hopes of eluding their Cylon pursuers dashed by an invasion and occupation of their new home. As the fate of all human life hangs in the balance, friends become enemies, enemies become unexpected allies, and decisions are made that will haunt some people for the rest of their lives. 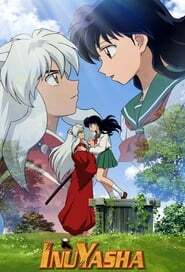 A high school girl, Kagome, travels back in time through a well in the garden and arrives at a time of civil war. She has a mysterious ball which makes evil spirits more powerful. She has to fight the evil spirits that want the ball, joining forces with Inuyasha, a half-man, half-spirit ally. 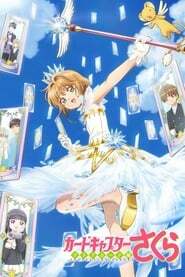 A girl in 4th grade, Sakura Kinomoto, opened a strange book and let dozens of powerful magic cards loose on the world. Keroberous, the Guardian of the Clow Cards, informs Sakura that it is now her responsibility to find and capture the freed cards. Buffy continues her quest to slay the vampires in Sunnydale. Includes all 22 episodes from season 7, plus commentaries, featurettes and outakes. New secrets are revealed as Buffy continues her quest to rid Sunnydale of vampires. Collection of all 22 third season episodes. The season begins with Buffy in LA hiding from her friends, family and destiny, but she is forced to face what she is. Buffy then returns to Sunnydale for her senior year to a less-than-welcoming reception. A new Slayer, Faith, comes to Sunnydale, then Angel returns from Hell. Faith's new Watcher comes to town, Spike also returns, but without Drusilla. The gang finds out Angel is back, and Buffy's been keeping him to herself. Buffy's 18th birthday means a secret test by the Watcher's Council, then she gets a new Watcher. Faith initiates an alliance with the dark side, and brings the Mayor into her plans. As graduation approaches, the gang all face decisions about their futures, but those plans are put on hold for graduation day, when Buffy is forced to battle Faith with Angel's life in the balance. Buffy is resurrected form the dead by Willow, who thought Buffy was in a hell dimension. What the Scoobies don't know is that Buffy believed that she actually was in heaven. After being ripped from a peaceful existence, she now considers herself to be in a hell on earth. The depressed slayer secretly turns to someone who knows about death, the Buffy-obsessed Spike, and the two begin a twisted relationship.